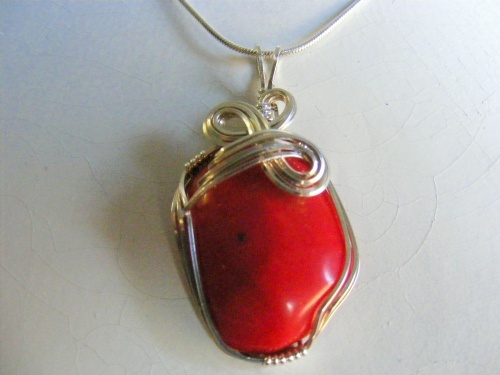 This beautiful rare piece of red coral is adorned with swirls and curls of sterling silver. Will exquisitely drape your neck and bring you compliments galore every time you wear it. Be the envy of your friends. Piece measures 1" wide by 1 3/4" long. Comes with a sterling silver snake chain.